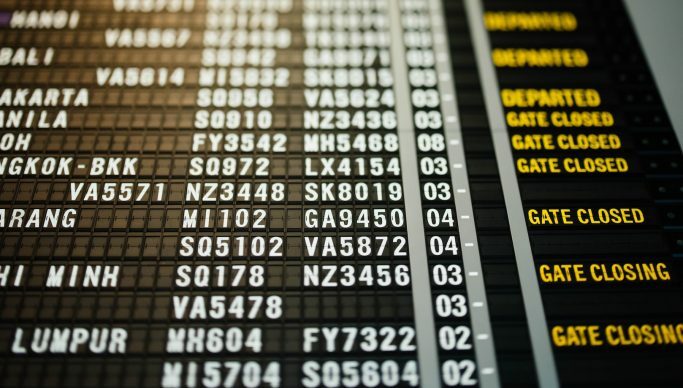 Passports and suitcase at the ready, flights paid for weeks ago, but how can you avoid paying over the odds at the airport before you even arrive at your destination? Take a look at our tips on how to save when travelling by plane from Spain. Most people won’t think twice about calling for a taxi. In big cities such as Madrid or Barcelona a round trip costs, on average, 60€. Alternative 1: Download the Uber or Cabify app. Usually there’s a discount for newbies. Already used it before? Get another member of the family to download the app and create a new account with a different credit card. Alternative 2: Madrid and Barcelona airports are served by Aparca&Go, an alternative to official (and expensive) airport car parks. Shuttles to the airport are available 24/7. Alternative 3: Reserve online at the airport car park and compare short stay areas (normally for up to 5 days) with long stay. Most expensive option: Don’t reserve early and pay top rates for airport parking. Some airports have designated “first class” parking areas due to proximity to terminals. Be prepared to pay even more for the privilege! 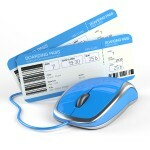 Most low cost airlines charge high tariffs if you show up without your boarding pass. Before you leave home remember to print it. But for your return flight many hotels have caught onto this need and charge for printing. Avoid all charges by downloading your boarding pass to your smartphone. Until the rules change and you can take liquids through security, there’s little option other than buying inside the terminal (or going thirsty). But from 2018 Aena (Spanish Airport Authority) has made it mandatory for all new airport concessionaire contracts to include bottles of water at 1€. These cheaper bottles must be 33cl in shops and 50cl in vending machines. Already available at many airports, the system will be rolled out over the next year. Aena is also increasing the number of free drinking fountains. There are currently 200 located across airports. Alternative: If you just want water and can’t find any 1€ bottles, don’t buy it from expensive cafeterias. Try a shop or fast food outlet. You’ve no doubt seen that locations with sockets are invariably occupied by travellers All. The. Time. Take a look around to find “secret” sockets. These tend to be on electronic ad displays or near ground level on walls / columns. However make sure that you’re in a public area, if in doubt ask before using. At the end of 2017 Aena introduced Airport Free Wifi Aena for all passengers. Log on with your Facebook or LinkedIn account or via a short registration form. You can also register with Aena Client Club, which lasts for one year. There’s no time limit on usage and, even better, no ads! What do you mean you always get your currency at the airport? If so, you must have money to burn. Don’t be fooled by the “no commission” sign at the counter, it’s the exchange rate that will eat up your hard-earned cash. Even if you’ll be using your credit card whilst abroad, you’ll probably still need some cash. Alternative 1: Order online from your bank, after checking the exchange rate and commission. Collect at your local branch and check the buy-back details in case you have some cash leftover on your return. Some banks will also deliver currency to your home (depends on the amount). Tip: The buy-back deal will normally only cover a percentage of your cash, not the full amount. Alternative 2: Order online from a currency exchange company and get the cash delivered. Compare the total price, including delivery, with your bank. Don’t forget: When paying abroad by bank card always pay in the local currency. Avoid the Dynamic Currency Conversion rate added by those handling the transaction. Paying abroad in your home currency could add on up to 10% on your purchases! Top Tip: Open an account with Revolut now, get a debit card and withdraw up to £200 (or equivalent in other currencies) commission-free per month in international ATMs. Card payments abroad are converted at the interbank exchange rate. With free food and drink, comfortable sofas and even showers, a VIP lounge can be a great way to start a long-haul holiday. But with luxury comes a hefty price tag (unless you belong to an airline premium club). Alternative 1: If you belong to RACE (auto club), just show your card along with your boarding pass to get access in Spain. Alternative 2: Get an American Express Gold card. The first year is free, but remember to cancel otherwise it costs 130€! You’ll get 2 free visits to VIP lounge as long as you spend 1000€ on your card during the year. Alternative 3: Reserve and pay. VIP lounges cost from around 20€ upwards per person per visit, but visiting without a reservation costs even more.